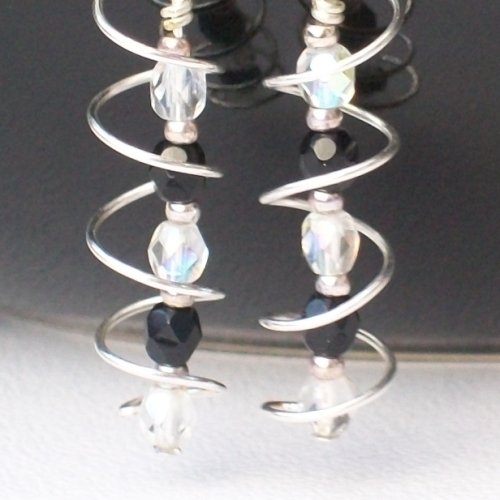 Handmade earrings with black and clear AB coated Czech beads on a central drop surrounded by a spiral of wire. 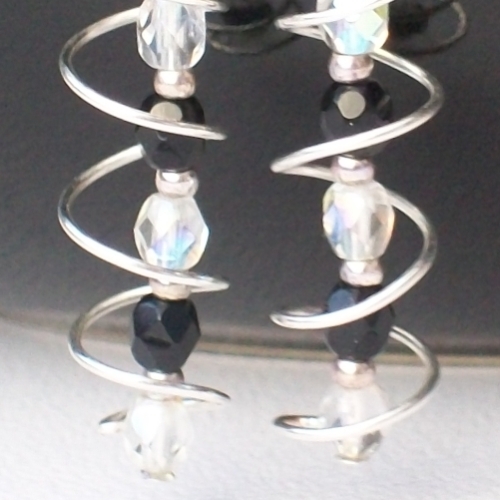 The spiral and beads move freely from each other, allowing them to catch the light and sparkle. 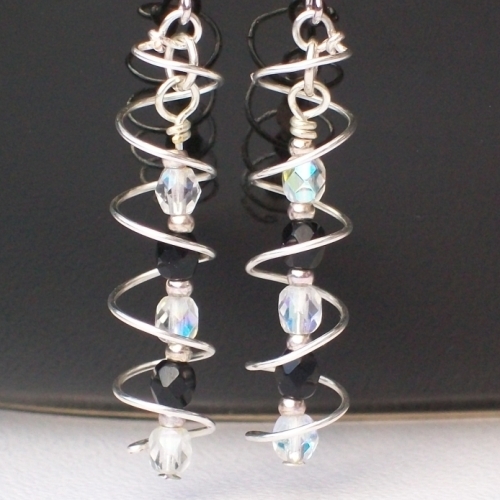 The earrings are 6cm drop and 1cm wide and the hook earwires feature a ball and spiral for added detail. Earrings can be custom made in different colours, please contact for more detail. 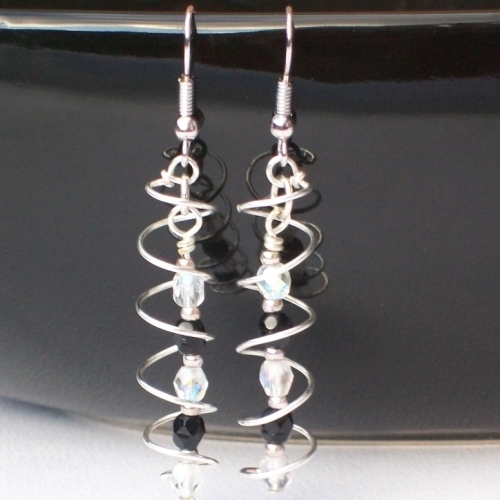 Handmade using anti-tarnish silver plated copper wire and Czech fire polished beads.